Jack, the Ripper : a musical in two acts, libretto / words and music by James M. Easton. Lane Cove, NSW : Easton Music, c1995. — 1 libretto (66 p.) ; 30 cm. Score: Jack, the Ripper : a musical in two acts [vocal score] / words and music by James M. Easton. Score: Jack, the Ripper : a musical / by James M. Easton. 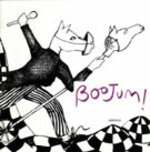 CD: Boojum! : nonsense, truth and Lewis Carroll, a musical / by Martin Wesley-Smith and Peter Wesley-Smith. CD: The master and Margarita : a musical / by Stephen Lalor.